Currently, there are only two 55+ active adult or retirement neighborhoods in or near the Lake Nona area. Those would be Gatherings which is a condo high rise in the Laureate Park neighborhood of Lake Nona. The other is the single family home neighborhood of Serenity Reserve just South of Lake Nona in Narcoossee. 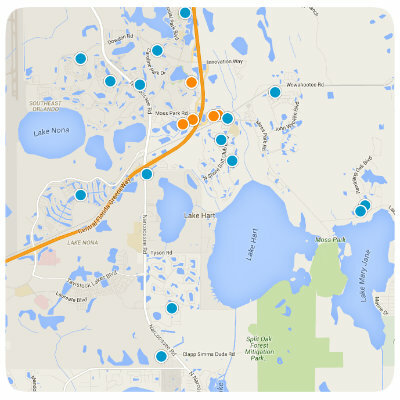 Gatherings Of Lake Nona SubDv.